First we need to take a look behind the scenes and wonder why such images are needed in the first place. 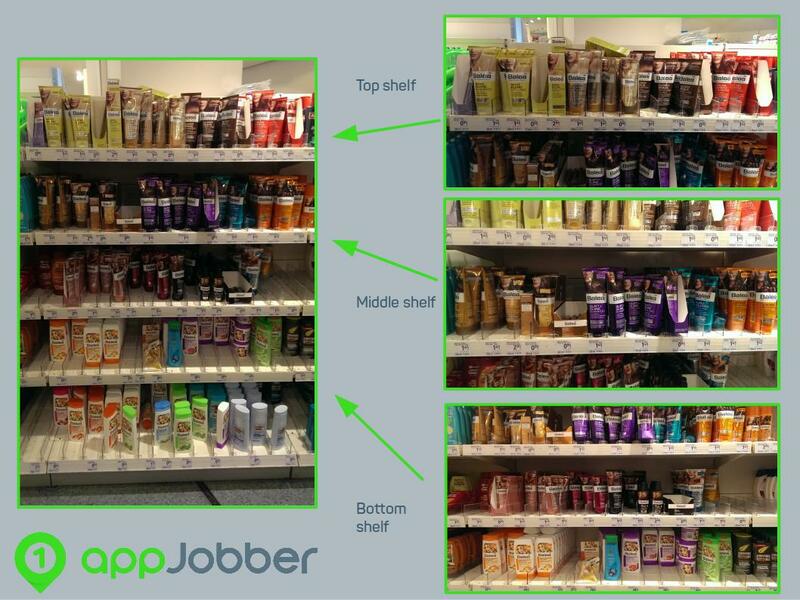 There are numerous reasons why companies need a photo of a shelf from a specific supermarket. Often clients want to be able to read the prices of the displayed products or they might want to see how many facings* of a product are on a shelf. Perhaps they would like to get an impression of the product-range available in a specific product category, or they might also want to check how much shelf space one brand takes up. There are many reasons and these are only the most common customer needs. According to each specific need, a precise type of photo is then required. 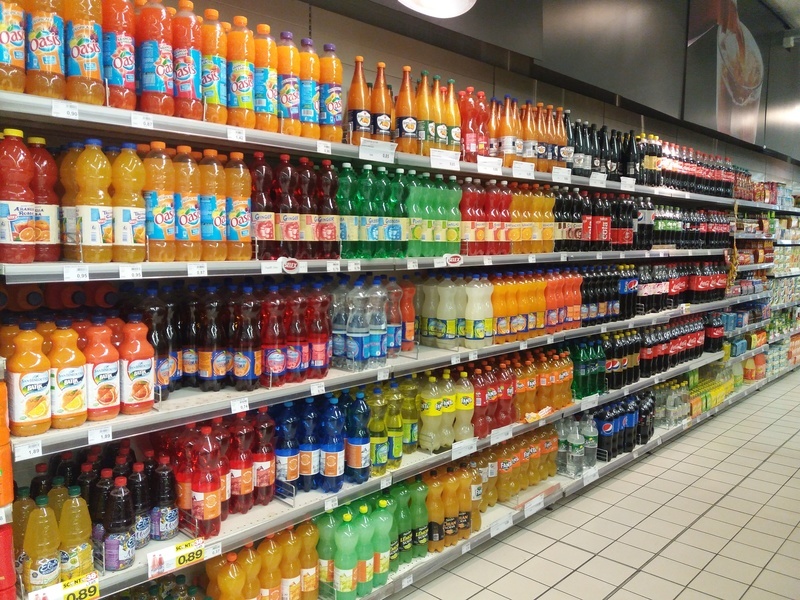 If, for example, the client needs an impression of the drinks department, then the job will require an overview photo. 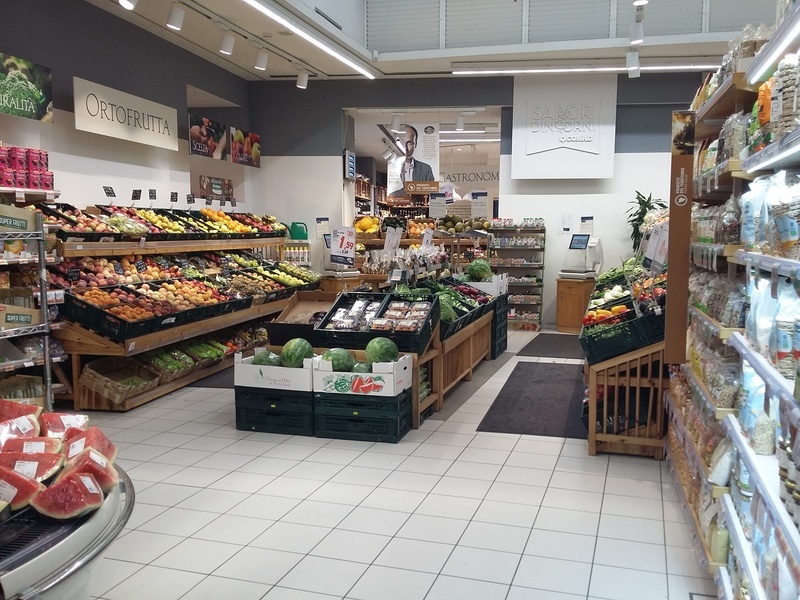 In the fruit and vegetable section, for example, you would then need to take one or two photos from different perspectives with which you would give us an overview of the entire department (example picture above). If the client needs pictures of a specific product category, then you must take a picture of every shelf displaying products corresponding to this category. These images can be made oblique, but beware!, you must always take pictures in a way that the products on the shelf are still recognizable. If a single picture is not enough due to the large number of shelves, then please take multiple pictures, so the perspective is not slanted and inaccurate. Clients might for example want to see how the goods are presented in a specific retail chain (loosely on the shelves or in trays?) or which brands belong to the product category. If detailed information is requested on the other hand, then it is important to photograph the shelf head-on from the front and in its full height, so that all existing products are visible. The corridors of the markets may sometimes be quite narrow - a condition which certainly complicates a frontal image - then it is recommended to take separate photos of sections from top to bottom, so that all the information is still legible. This way the photos can still be taken from the front. Ideally the images overlap a little, so that when it is examined, we can see that the photos were taken in the correct order. With such detailed shelf photos, our customers can gain a lot of valuable information: which layouts have price tags on the shelf? Are the products all available or are there gaps shelf (so-called. Out of stock situations)? At what price were the goods offered (so-called. Price detection)? Are advertising material, promotions or special packages available (so-called. POP material)? 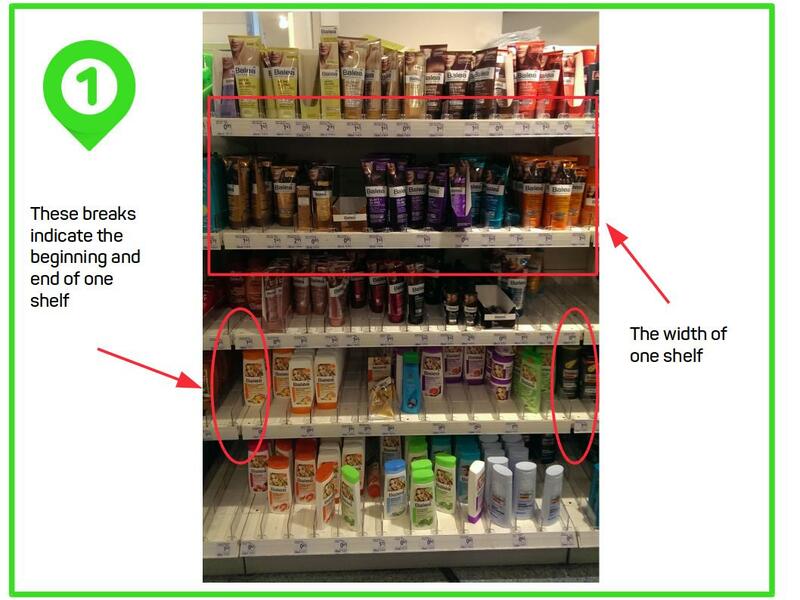 How much space on a shelf is a particular brand allocated and what brand is next (so-called. Share of shelf)? * Facings = facings refer to the placing of products in a retail store. Thereby the product is at the front edge shelf of and the label is facing the customer.